Iceland is the most volcanic place in the world. Explosive eruptions, from many different volcanoes, are common, unpredictable and, when seen from afar, exciting. But don’t be fooled. These volcanic explosions are small fry, and mostly harmless. Less common but far more devastating are the other type, responsible for 80% of all Icelandic lava and 99% of its volcanic casualties: Iceland’s fissure eruptions. Fissure eruptions occur along a linear fault rather than at a central volcano. Elsewhere in the world they are known as Icelandic eruptions, but in Iceland they are known as ‘fires’. A vigorous fissure eruption produces curtains of fire along the fissure – hence the name. Over the past 1200 years, there have been 14 fires in Iceland. Four of these were in the past 100 years, an excess which suggests there may have been more and older records are not fully complete. The most recent fires were Holuhraun (2014) which produced over 1 km3 of lava, drawn from below Bardarbunga 40 km away, Krafla (1975-1984), Surtsey (1963-1967), and Askja (1921-1929). Holuhraun in particular was a large, impressive fire. Bigger by far was the Laki eruption (1783-1784), also known as the Skafta fires (Skaftareldar, to be precise), which produced 15 km3 (DRE), drawn from beneath Grimsvotn. Laki was devastating and destructive: 78% of all horses on Iceland were killed, and 50% of cattle. The human population declined by 22%, there were significant fatalities from air pollution as far away as the UK, and Laki caused a winter so severe that as many as 1 million people may have perished from cold and starvation. It was a fire from hell. And Laki was not even the largest fire on record. The Eldgja eruption which began in 934 AD was bigger, at almost 20 km3. It happened not longer after the settlement of Iceland began – the Vikings initiation to Iceland’s volcanoes was a baptism by fire. The name is self-explanatory: ‘Eld’ mean fire, and ‘gja’ means fissure. But don’t let this name fool you into thinking this is what was seen. Although Iceland was already well occupied at the time (the population around 930 is estimated at 30,000), no written or oral records exist of the eruption. It is as if no one noticed it. The fires would have been visible from many places in the south of Iceland. Soon those areas would be covered by thick tephra, clouds of sulphuric acid, and overrun by floods of lava and water. How could it not have been noticed? Were all early reporters wiped out? The duration of Eldgja has been estimated as 3 years (Hammer), up to 6 years (Zielinski) or even 8 years (Strothers). There are claims that weather was disrupted over Europe and Asia for as long as 9 years. But can this really be correct, if Laki only managed two years of mayhem? The story of Eldgja is far from complete: what are the facts – and what is fiction? Let’s first look at the early Icelanders who themselves experienced Eldgja. The oldest civil records of Iceland are in the Book of Settlement and the Book of the Icelanders, both written down during the 12th century, mostly by the same person. They describe how the Vikings first settled Iceland in 874 AD or 870 AD (the two books don’t quite agree). 870 AD sounds more plausible: the winter of 873/874 was severe in Europe with significant death rates (reported as high as 30% in Mainz) which is not ideal for starting a colonization. On arrival, the Vikings found evidence of earlier occupation by Irish monks, but it is not clear whether these monks were still there at the time or had already left. The period of settlement lasted for 60 years, by which time the population may have been as high as 30,000. The Icelandic parliament, the Althingi, started either 930 or 934. The Books give names and fragments of background on many early settlers. Archaeology confirms this sequence. There is a convenient tephra layer in Iceland dated to 877, and remnants of a few Viking sites have been found below this, all on the south-west coast. This favours the earlier date of 870 for the first settlers. Between the two tephra layers of 877 and Eldgja there are many Viking sites, particularly on the north side of Iceland. Many sites are well in-land, suggesting the coast had already filled up. Iceland was much more forested and vegetated than it is now. The Vikings settled on farmsteads, but the soils were often thin and quickly eroded. Farming became marginal and the carrying capacity of Iceland was reached quickly. Through various ups and downs (including the black death), by 1700 the population was still only 50,000. After Laki it was down to 40,000, not much more than in 930! Eldgja is thought to have started in 934 and to have lasted to perhaps 941 (but I will come back to dates later). The eruption eventually covered 840 km2. At least 6 km3 of tephra was deposited over the country (the actual amount may have been larger: some will have ended up at sea). The lava volume is not fully known, as part has since been covered by sediments. On the western side, sediments from later jokulhlaups from Katla have covered some of the lava flows under a depth of 10 meter. The most recent estimate of the size of the eruption is 19.8 km3 (DRE), which includes the tephra. For comparison, the 1783-1784 Laki eruption was 14.7 km3. The Laki flows covered some of the Eldgja ones, which is one way to usurp your predecessor. But although both eruptions occurred close to each other, in the East Volcanic Zone (EVZ), they were fed by volcanoes on opposite sides of the zone. The eruption came from within a 200-meter deep rift which ran north-east from the Katla glacier. Four separate rift segments are recognized. The west (or southern) rift, closest to Katla, extends 9 km from the ice cap and ends at the crater of Raudibotn. 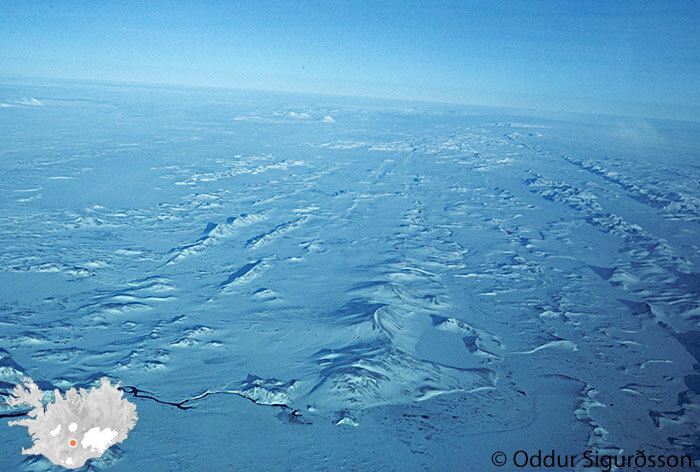 The rift extends underneath the icecap, perhaps by the full 15 km to the caldera. A series of spatter cones have formed in the west rift. About half the Eldgja lava was erupted from here. Where the west rift ends, a section of graben survives, which continues for 3 km. This section ends at the mountain Svartahnjuksfjoll and did not erupt. 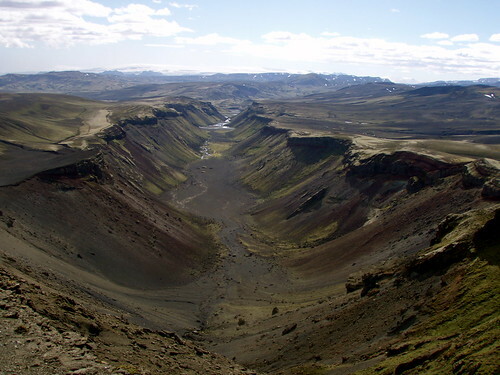 Here the central rift begins: it runs for 9 km along the western margin of the Alftavatn valley. The craters along this portion of the fissure consist of a series of ‘gjas’ which don’t quite connect. At the northern end of the central rift, the fissure jumps 1.5 km east where the eastern fissure begins, also called Eldgja proper. It runs for for 8.5 km, terminating in the mountain Gjatindur. The fissure includes the popular tourist attraction Ofaerufoss, with a spectacular waterfall. Another graben follows, until it reaches the Skafta river. Here the northern fissure begins, with a row of spatter cones extending 19 km. The lava flows from this section were later covered by the Skafta fires, which fissured parallel to but a little south of the northern rift. It was only recognized late that the northern rift was part of Eldgja. The total length of the fissure is 57 km from the edge of the glacier, or over 70 km if, optimistically, counting from the caldera. Before the Eldgja eruption, the entire rift was a graben, which had existed already for some time. 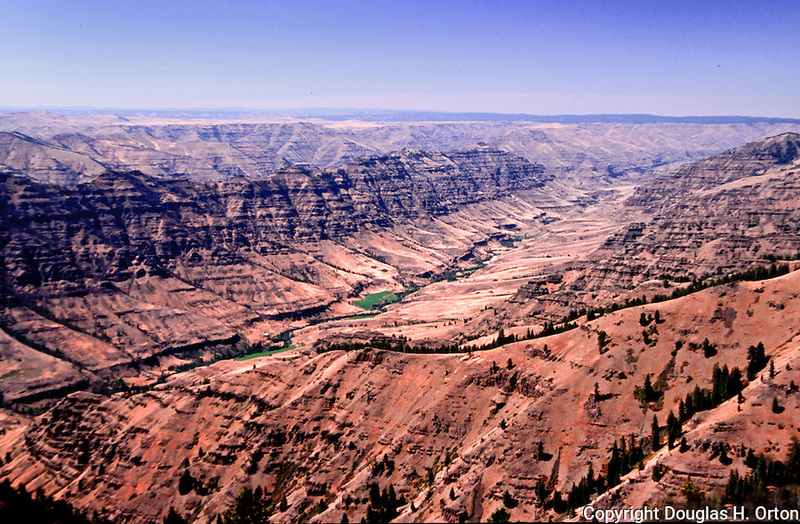 The lava filled the graben and flowed out mainly following river valleys, but fragments of the graben have survived. There are three main lava fields. Each followed a valley or river to towards the coast, and spread out on the coastal plain. The largest is the Alftaver flow which came from the western rift and accounts for half of Eldgja’s lava. The Landbrot and Medalland flows account for most of the rest: they came from the central and eastern rift. Lava flows from the northern rift are much smaller, estimated at 0.5 km3: these have largely been covered by Laki. One hyaloclastite flow has been identified next to the Katla glacier, from an underwater (glacial lake) eruption. The lavas are a type of basalt rich in titanium, as typical for Katla. But there are complications: the northern and to some degree the eastern rift seem to contain another, tholeiitic component as well. 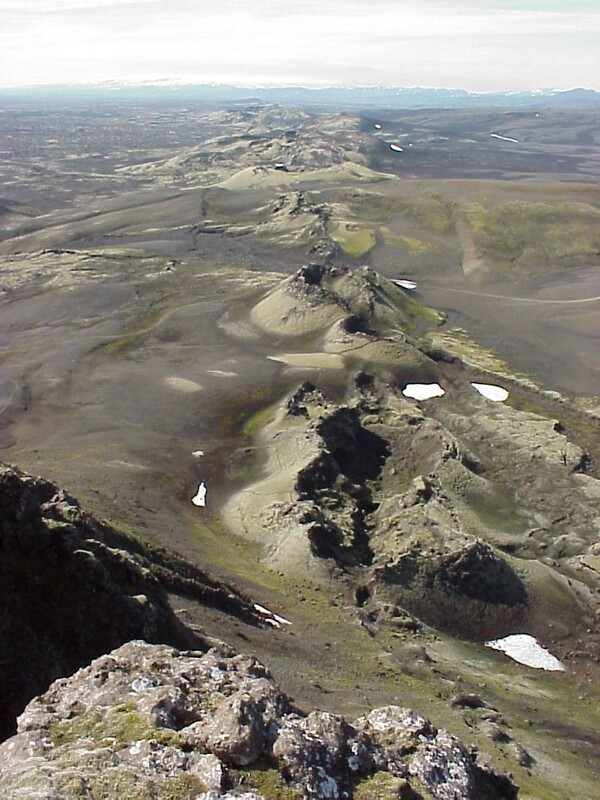 It has been suggested that at the northern end, there was an inflow (or prefill) of this lighter magma from Grimsvotn, and that the eruption in this location was a 50/50 mix of Katla and Grimsvotn magma. That would be very unusual: eruptions may draw from different regions in a magma chamber, but not normally from different volcanoes. The push from one volcano will override that of the other. But perhaps it can happen in a spreading ridge where the lava is sucked in rather than pushed in. The eruption sequence is only partly known. From the fact that ash was found in the Greenland ice cap, we can deduce that there was an explosive event, most likely underneath the ice cap, perhaps within the caldera where most of Katla’s eruptions happen. The Eldgja tephra in Iceland shows over 30 distinct layers, over at least 8 separate episodes: the eruption was not continuous but there were a different events at different times. The lowest tephra layers are thickest towards the Katla glacier. This shows that the eruption began there. Later, when the rift opened, the eruptions migrated north east. Each of the rift eruptions would have started with strong earthquakes, typically M5. Laki showed such earthquakes throughout the 8-month eruption. Each new eruption was probably phreato-magmatic to begin with (the top layer of the Icelandic crust tends to be quite wet and there may have been lakes in the graben): the tephra show alternating layers of phreato-magmatic and pure magmatic tephra. Than the fire fountains begin. For Laki, the fountains reached a kilometer high; Eldgja may well have shown similar heights. The glow would have been visible over all of southern Iceland, and the fountains seen on the horizon. What a view it would have been, magnificent and terrifying. And during the months and years of the eruption, this may have happened over 30 times. The fountains build up cones, and lava lakes develop inside the cones. The lakes greatly reduce the height of the fountains (because the exit hole becomes larger). The eruption remains just as fast but is less visible. Later, as more magma has been pushed out, the internal pressure reduces and the flows begins to wane. Eventually it becomes so slow that the magma underground has time to solidify, and now the eruption stops. This is how Holuhraun ended. But underground, with the exit blocked, the pressure from behind begins to increase again. The magma may break through in a new place (this did not happen in Holuhraun -there wasn’t enough magma left). You expect a waning eruption to work its way back to the origin, with new break-outs happening closer to the actual volcano. But Eldgja appears to have migrated the other way, stepwise away from the origin. Perhaps the eruption was not solely controlled by the magma supply. A migrating rifting event may have played a part. Eldgja, like Laki, erupted huge amounts of sulphur, about 220 Mt of SO2. This is much higher even than Tambora which produced about 80 Mt. Much of the environmental and health impact comes from this. Finally, the eruption subsided and Iceland was left in peace. But much of the region was devastated. It has been argued (for instance by Mathias Nordvig) (but remains speculative) that the Eldgja eruption is behind the saga of Ragnarök – the twilights of the gods. Before the eruption, the land was very different. It had been sufficiently vegetated to allow for several settlements, but the soil was thin and easily eroded, and early settlements were apparently quickly abandoned. The eruption changed the landscape and moved the coast line. Not all flows were of lava. Katla eruptions invariably lead to water floods, jokulhlaups which appear from underneath the glacier. The jokulhlaups travel typically at 20 km/h, and without warning it is difficult to outrun or survive them. The deposits are eroded rock from the mountain underneath the glacier and soil from the upstream flows. Jokulhaups left substantial deposits after or during Eldgja around the ice cap, on the western edge of the lava flows. Katla’s eruptions typically deposit more volume from the jokulhaups than from the eruption itself, although for the Eldgja eruption the lava flows were more voluminous. Furthermore, the tephra ‘floods’ would also have been deeply damaging. An area of 2600 km2 was covered under more than 10 cm of tephra, and 600 km2 under more than 1 meter, about the same area as was covered by lava. The tephra thickness dropped below 0.5 cm only beyond 100 km, which is twice as far as for Laki. Whereas the lava and jokulhaups flow downhill, tephra goes where the wind blows. Even a centimeter of tephra is destructive to agriculture and many areas would have many years to recover. Coming up So far, we have focussed on the facts, the things we know. The next part will talk about less certain aspects: the date, the volcanic winter, and how the fire was fed. And finally, could this happen again? Hi Albert, great piece! You say there are no records of the eruption, so, in that case, what is the first Icelandic eruption which was recorded (that we are aware of)? Good question! It may be Hekla in 1104, although I have been trying to find out how that exact that date is and could not find the original source. The first I know of that was noticed by Humans was the 1000AD Eldborg at Lambafell eruption out of Brennisteinsfjöll. It was rather noticable since it sent the entire Icelandic parliament packing as they had an outdoors meeting at lake Thingvallavatn. There is also a written account about the Katla eruption of the same year. But, the first Icelandic eruption mentioned in text is the settlers ash eruption of Vatnaöldum in 870. Nobody did though witness that one directly, just the ash was mentioned in text. Settlement was in 840 if memory serves. There is written texts from the time about Hekla 1104, but they require that you are fluent in forn-Nordic. When you wish for a source for Hekla and it’s timeline, always go for this book, it contains all sources needed on Hekla up to the eruption in question. Sigurður Þórarinsson: The Eruption of Hekla, 1947-1948, Volume 2. It is THE masterpiece of Icelandic Volcanology. Its a very nice book and report to read about. The 1000 eruption like you said was occuring when the parliament was gathered “next door”. Some 20km away. I was never sure whether it was Brennisteinfjoll or part of Hengill system. Its definitively Brennisteinfjoll, i checked now. Hengill last eruption was 2000 years ago. The most likely settlement date is 870 although there were earlier landings by the vikings before they decided to stay. The irish lived there before the vikings but they left no records. 870 is obviously correct. So, first noticed eruption would be 870 Settlers Ash and the first seen would be Thingvallavatn eruption in 1000. The eruption may (big may) actually be recorded in the Vøluspá stanza 47 and onwards, which actually describes Ragnarok (end of days), part of what follows is my own speculations on the matter, but others have made sort of the same connections before. Sure it is written around 1300 which is a bit later, but oral tradition and all that. Dwarfs are master craftsmen who live in the mountains, behind doors made of stone, and they roar loudly from behind them. Sounds familiar? Garm is the hellish wolf guarding the path to Hel, the underworld. And it happens to break free. Surt is the firegiant and he comes from the south, Eldgjá happens to be in a rather souther part of Iceland. The rest sounds oddly familiar to a major eruption. “The warder of earth” is Thor, the thunder god, who strikes in anger, and all men must flee. He happens to be to be slain by the serpent Jormungandr though. This is rather self explaining. After this everything turns green again and life springs forth again. Bjarki, thank you, that was excellent! I hope that some day, we may turn that piece into a full-length post on its own – “Volcanism as seen through the eyes of (Icelandic) poetry”. J.R.R. Tolkien -Fellowship of the Ring.. There are more events in the legends/myths which with an open eye clearly could be inspired by volcanism. Death of Baldr (he represents the sun) everything turns grey and miserable after his death, bloody skies, and the grund shakes at some point during his funeral, but he returns to life again after Ragnarok. When Thor travels to the giant Geirrod he has to cross a river which suddenly grows very large indeed and threatens to sweep him away, the reason for the rise in water levels, is Geirrods daughter Gjalp who has started urinating into the river. Fimbulwinter, a several year long winter, which could sound like a bad case of volcanicwinter (some suggest climate change), which is just prior to Ragnarok. And other bits and pieces. We need to set things straight. First historic eruption in Iceland was a very big one. One of the biggest from the past 1500 years. It was Vatnaoldur, also around year 870, running parallel to the future yet-to-come Veidivotn fissure. Vatnaoldur started when a big lake was presented to the southwest of Bardarbunga, probably a graben valley, and therefore that eruption was extremely ashy, and it shows well all across Iceland as one of the biggest and thickest ash layers. It could have been around 10km3 but mostly in form of ash. Its called the settlement ash because it happened right in the first years of settlement. Here at the blog people rarely talk or even know about this huge eruption, which was much ashier than Laki or all other Katla/Hekla eruptions. Even the tephra layer for Eldgja is smaller than for Vatnaoldur. It was after this one that Edlgjá erupted, circa year 934 to year 940, and certainly your post Albert makes justice to the truly massive size of Edlgjá. Lava-size Edlgjá was larger than Laki. The future lava flood of Veidivotn in year 1477 was also epic, around 15km3 erupted magma but mostly in ash form, because the lake remains left after Vatnaoldur were still there. After 1477, the region was left full of ash, rivers changed course and nowadays there are many lakes across the region which are the remains of the once large lake that existed there prior to Vatnaoldur. In year 1104 Hekla awoke from at least 200 years sleep, and erupted in a very violent way, in one of its largest eruptions, erasing all the farms around. That was the first well-recorded Icelandic eruption. Vatnaoldur and Veidivotn eruptions were mostly ash, their tephra layers are the largest in Iceland, but often in publications their estimations (1-2 km3 DRE) seem to be much smaller than they probably were (more in the range of 10-15km3 erupted magma in form of ash). The eruptions of Oraefajokull in 1362, Hekla in 1104 and Askja in 1875 were all somewhere between 2 to 10km3, depending one considers tephra volume or DRE. Eruptions in Hekla in 1300 and 1766 were also very large. Holuhraun by comparison was ONLY 2 km3! So the question is here, what was the largest eruption in Iceland since settlement: was it Edlgjá, Veidivotn or Vatnaoldur? Or was it another one? Good morning Irpsit, you may notice that I put in the Vatnaöldum eruption of 870, also known as Settlers Ash. Bardárdbungas southern fissure swarm divides into two tongues, Vatnaöldum and Veidivötnum, both of them have erupted several times since deglaciation. I do not remember the Settlers Ash eruption volume in regards of lava flow, but the normal figure for eruption there is 5km3, and it is counted as a VEI-4 from Isopak-maps. Veidivötn is a larger eruption, also at 5km3 lava, it did though erupt 10km3 DRE of tephra. So it was quite larger than Veidivötn. Eldgja erupted around 20km3 of lava and little ash comparatively. Skaftár Fires erupted 15km3 of lava and 10km3 of tephra DRE. This eruption was previously judged as VEI-4 but the amount of distal ash made it possible to do an Isopak that gave at hand a small VEI-6. So, Laki was the largest eruption in total, but smaller than Eldgjá in total amount of lava flow, even though peak ratio was higher at Skaftár. The shield you mentioned happened over a prolonged time, the eruption most likely lasted 50 years or more. So it was not a Fire-eruption. I remembered now my research into tephra layers in Iceland. Laki was probably not so ashy, and Edlgjá was mostly lava. You forget the part that the wind direction plays. The wind carried it North West. The odd thing is that the ash was so excedingly finely ground. There is very little coarse tephra, this means that just a little ash fell nearby, the rest was carried high and almost evenly distributed across the northern hemisphere. Just as an example, the ash are just millimeters thick on Jan Mayen, and it was 1 millimeter thick in Venice and in Greenland. The only way to get a correct number was by using a seriously large part of the globe for the isopak. But it was possible. Which ash do you refer to? Skaftár Fires, I do not have any data on the Laki Fires, more than the volume that was between 5 and 10 km3. It is confusing that people call the 1783 for Laki since it was not the same eruption as constructed the Laki Mountain. I may have a suggestion for the northern tholeiitic lava. In my work with the Skaftár lava I deduced that a large percentage came from a deep upside down sailboat hull shaped magma reservoir that Grimsvötn is a central volcano on. That reservoir follows the Grimsvötn fissure swarm, and is more Grimsvötn than Grimsvötn in many respects, it is also enormous with 500km3 of eruptible magma. The lava that emanates directly out of that is less fractioned than the lava out of the central volcanoes. So, here is my idea, and I think it holds up with what is known about the area. The Katla injection followed the entire length of the fissure, but the main eruptions occured further south, but the eruption at the same time caused extension of the fissure and that in turn opened conduits downwards at the northern end, that conduit met Grimsvötns deep magma reservoir and that went up into the Katla magma. Another version could be that magma from Katla entered a pocket of magma from the previous Laki Fire (that formed the actual Laki Mountain, this is not the same eruption as Skaftár Fires) and that it mingled with the old magma and it all erupted together. What about my far fetched idea that…. 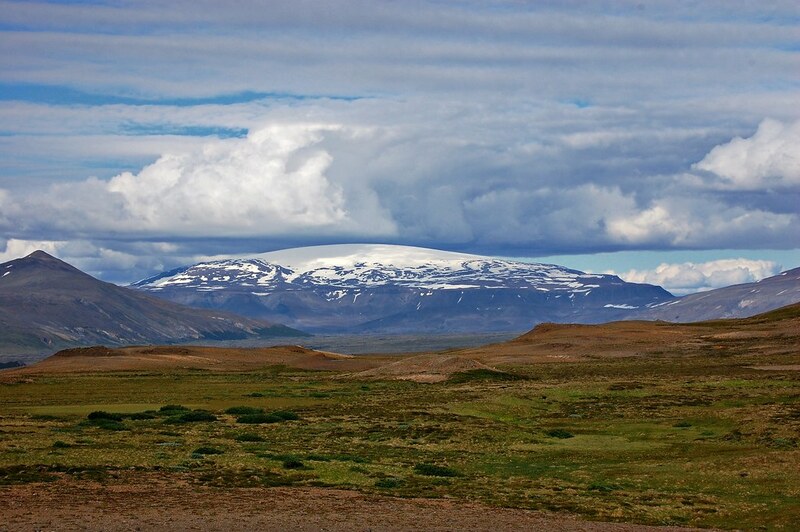 if you follow Vatnaoldum fissure southwest southwest southwest, then it reaches Hekla…! Hekla is very young, just some few thousand years old. Its birth seems to be at same time by radiocarbon dating as Thrjosahraun great lava field. So I wonder sometimes whether Hekla was not just a fissure out of Bardarbunga that created a new central volcano there, the one we call Hekla nowadays. Probably as it met the edge of Hreppar or the slap of a continental plate leftover. You did not miss by that many kilometres. Veidivötnum ends up on the western side of Torfajökull. Hekla is a continuation of another line that starts at Vatnafjöll and wanders off westwards with fissure volcanoes. Currently Hekla is the youngest and most active, but Vatnafjöll is still just dormant, and it may also be that Burféll is still alive. Few think about it, but the SISZ is actually a volcanic zone on its own. If you stand at Tofajokull, high enough, you will see the fissures coming from Bardarbunga (the Veidivotn for example, but there are many other parallel rifts every few kms) that come across Torfajokull and seem to continue towards the southwest, as Vatnsfjoll, or Hekla and even terminating at Tindfjajokull. Check it on google earth, you can also see it there! I have been there and wandered around quite extensively Irpsit. No, the volcanism southwest of Torfajökull belongs to a different regimen controlled by the formation SISZ and not the older volcanic zone that controls the behaviour of Bardarbunga and Grimsvötn. Here you can see Vatnaoldur eruption site, in the dead zone. Look how many fissure eruptions have happened there!! South and nearby is Veidivotn and some 50km more south is Edlgjá and Laki. Ahem, it is very confusing that you put Laki to the south, it is actually to the east with Eldgja southeast. Veidivotn and Vatnaoldur occupy the northern (or more accurately northwestern) part of the dead zone, while Laki and Edlgjá the most southeastern part. In between there are many other fissures, that I have no idea to which volcanic system they belong. This is Veidivotn…. erupted in year 1477. Very ashy one. Just south of Vatnaoldur. One cannot ever capture the entire fissure until a satellite image! And Edlgjá. The canyon/graben is truly AMAZING and really deep and long. Measures some 300 meters deep in some spots. Almost 600 meters wide! And at least 40km long! And here see the canyon with the glacier of Katla far away in the horizon. I have a few pics, but now they are on my hard drive which shows the fissure all the way to Myrdalsjokull. Its amazing to see 40km of fissure, but you need to hike nearby hills. You did notice the image at the top Irpsit? Yes it goes until the ice cap too! All these fissures I posted now (Veidivotn, Edlgja and Laki) go all the way to the ice caps. Fantastic pictures! They really bring the region to life. Thanks! The last image is taken from mount Laki. The fissure runs up to it, but could not break through it, and then continued on the other side. And thank you Albert for a wonderful piece! It is such a wonderful piece of prose as well, one that flows so easily that it belies the vast amount of research that must have gone into it. And this weeks version of: Is it a cloud or an eruption? Not even I could tell before the next update of the webcam image. And even the seismometers said things that could be interpreted as either of. It was not an eruption, but it is coming closer. And Momotombo is going nuts now that it is night. When you look at Google Earth, it appears that all the grabens/rifts/fires line up with Bardarbunga, not Grimsvötn. Is Grimsvötn the parent, child or sister? Neither. Katla, Bardabunga and Grimvötn are completely different systems. Given the way that the Holuhraun eruption progressed, I would tend to think younger sibling. The dike from Bardarbunga treked down into the Grimsvotn swarm before heading off to Holuhraun. Caveat: I just plot stuff… occasionally. It could be that Grimsvotn is to Bardarbunga, what Godabunga is to Katla. A separate emplacement with it’s own feed system that graduated from cryptodome to actual volcano. When you look at Iceland from Google Earth – at the dead zone – rifting happens across a 100km area with many parallel fissure systems with a SW to NE orientation (and WITHOUT a central volcano); then as they get to the center the Vatnajokull, they change from ao a S to N orientation. At that junction points you find a line-up of powerful central volcanoes, Bardarbunga and Grimsvotn (and Oraefajokull and Tungnafellsjokull further towards the edges of the active rifting area). The fact that this line-up of central volcanoes comes from Snaefellsjokull, towards Langjokull, then Hofsjokull, then Bardar and Grimsvotn and finally Oraefajokull (which has no fissures coming out of it), makes me think that its the central volcanoes that provoke the rifting rather than the other way around. And central volcanoes are nothing more than a manifestation of the moving hotspot, that moved from the west at Langjokull, towards the southeast. towards Grimsvotn and Oraefajokull. The fact that the orientation changes there (at Bardar and Grimsvotn), and that central volcanoes often occur then rifting changes orientation, further makes me think the greater role that central volcanoes have. That or central volcanoes are nothing more than manifestations of the change in the rifting orientation. In Holuhraun, way before the summer of 2014, intrusions were already forming at two spots along the rifting: at Kistufell and at a spot north of Gjalp. These dikes were very localized. Then for some reason, a massive swarm happened at Bardarbunga and rifting started. The rifting towards Kistufell failed and the other one succeeded. The magma jumped volcanic systems even, from Bardar to Grimsvotn (or more exactly in the rifting region in between both volcanic systems) and then almost entered Askja system. In Iceland you many rifting fissures between fissure systems in many spots, where you can´t really say to which volcanic system they belong. At least without a central volcano there. – Between Veidivotn and Laki. I think I never really understood how this process worked, and after Holuhraun I was left with some questions then answers. I think the person who understands Iceland deserves a Nobel prize. One problem is that the rift zone is quite diffuse: the plates are pulled apart but can break in different locations in a band of perhaps 100 km wide. It is very weak, like tearing wet paper. So you get these many parallel fissures. created at different times. There is no sharp boundary between the plates. Once it begins to be pulled apart in some place, the graben forms on the top (I think Holuhraun may also have had a bit of a graben before the eruption). Once the weakness is there, the graben is up for grabs. Any of the volcanoes in the region can capture it and fill it with magma – it is owned by whoever gets there first. You can’s say ‘this fissure belongs to this volcano’: it may do at one point, but a different volcano can grab it at a different time. What Carl calls the monster is this mesh of rifts and fissures, a battleground between the main volcanoes. I am awaiting the Nobel prize..or at least an igNobel. Is it possible that two volcanos get to any such weak spot at the same time? I do not entirely agree. In my world the central volcanoes are just a small part of the actual volcano that one sees if one looks from the bottom up. Now, take the hull of a sail boat, turn it upside down. In this case the hull is open downwards. The keel(s) would be the central volcano(es). But it iis the hull itself that is the central volcano, and during rifting the rift if big enough can connect down to that enormous monster of a magma reservoir at depth. That is what happened during Laki, but not during Holuhraun. It is the difference between small rifting events like Holuhraun and the true monsters. And it also explains why there are many central volcanoes on the same magma reservoir. That is sort of what is inference by the magma having a more juvenile chemistry at the distal end of the rift… a second central volcano joined in on the rift party. If we are debating Skaftár Lurking, then my opinion is that Grimsvötn was not even involved in it more than having a couple of regular eruptions. I think the initial injection that opened the rift came out of Thordharhyrna and the rift opened to deep and to fast so an opening was made directly down to the deep MOHO connected magma reservoir and mayhem ensued. Since these “boat hulls” are open to the MOHO they work as more or less magma hoovers vacuuming up all the magma as it forms at the MOHO boundary. Interesting that the fissures here are also N/S orientation..
Carl, do remember that the lava from Eldgja clearly has the Katla composition. Each of the flows has a fingerprint of one of the volcanoes.The fires have different feeding regions, and the magma feeds have a connection to Katla, Bardy and Brother Grims. I have not forgotten it Albert, hard to forget all of that labwork after all. The Skaftar lava is different from Grimsvötn, but of the same type. Grimsvötn and Skaftár has the same source, but the Skaftár lava is less evolved since it has not been sitting in a magma chamber. Reykjanes Ridge having a little swarm. Four earthquakes all over 4.5 in the last 90 mins. If you could look over a long enough time period you would see that the earthquakes would become almost uniformly spread out. I’ve seen the tracking stress areas along the pac plate boundary by gathering all quakes within 50 km of the interface over a 20 year period and plotting vs later and time. Dunno how it would look in Iceland. Using IMO data would present an issue since there would be a substantial “techno skew” as more sensitive gear came online. Yeah, you can back it out in the big picture,as far as rates go, but since you are tracking singular events, the data set would get messy quite fast. If any one is up to it, I’d like to see it. I looked around in space and time using IRIS earthquake browser omitting Iceland and, yes there are quakes detected along all the MAR. But it seems that the region for the swarm pointed out by Janet is more active than other parts. At least during the last 20 years. Is there a hang up/snagg here making the spreading less smooth or is the spreading faster, more powerful here? Sorry, have not learned how to post screenshots yet. How deep are the quakes there? Is the ocean depth different here from elsewhere along the MAR? Seem to be a standard repeat at 10 km and at magnitude around 4,5. Surprisingly uniform. Only variation is time. Seem to be little variation also soth and north of this region with regard to depthand magnitude. Gues the crust is around 10km here..
10 km just means that depth is unassigned. It is like Iceland and 1.1km. OK, that explains the uniformity in depth.. There can be many reasons why a particular section is more earthquake prone. The rock may be more brittle, i.e. colder. That would show up as a depression in the MAR (not the central rift but the whole thing). Or exactly the opposite, it is more easily deformable (hotter) and so stress gives many small quakes instead of one bigger one. If it is hotter here, you may see the MAR a little higher in this place. An eruption may be happening. A transform fault may have developed. The MAR can have quakes of M6 so M4.5 is not a big deal. They should come from the rock moving sideways and speeding up (on geological time scales), and slippage downhill as the new crust leaves the MAR. This is a part of the 24km discontinuous Askja fissure that erupted in 1874, prior to the caldera VEI5 eruption in 1875. It’s funny, in today’s list of earthquakes from IMO, all quakes listed for Habunga and Godabunga are all set to a depth of 0.1 km ( with one exception for Godabunga). Could that have any specific meaning? Or did it just strike me today and is this the normal “seasonal” tectonic behavior of this region? Thanks for the reply Michael. Could well be the case. What strikes me as odd then, is that all the quakes I’m refering to ( except for that one quake at Godabunga, which is classified as 90,something) are classified at 99%. I was under the impression that that means they are verified quakes. Or am I wrong? Just for arguments sake, let’s assume all Godabunga and Habunga quakes have been fully verified, what could it mean that all quakes are set at 0,1 km depth and some even at 0.0 km. Does that mean they’re just not interesting enough? I thought that 0.1km is used for “undefined” depth. Some quakes have quite a strength (e.g. 2.7), and I guess that if it happens let’s say at 12 km, it could be quite interesting, wouldn’t it? 1.1km is the default depth, if IMO cannot initially verify it. Thank you Karen. So 0.1km means an actual depth (eg somewhere in the top 100 mtrs)? 1.1km is the default depth given by the automatic system if there is no clear solution for the depth. 0.1km is the default value when the depth is still unclear (stuck at ground) after manual evaluation. In looking at Momotumbo’s depth vs. magnitude EQ pattern, there appears to be a well-defined 72hr interval between EQ clusters. If the trend were to hold up, then heightened activity should occur within 24-36 hrs? Oh Albert Thank you. I so enjoyed reading this. My goodness the prospect of more of those “fires” happening is a scary thought…Great copy for The tabloids and doomsdayers! . Also I enjoyed the ancient prose . Thank you Bjarki. I too would like to see an article with more of this. Truly beautiful. Irpsit they are wonderful photos.Thank you. Illustrating the vast areas of rifts. Each rift is so big. The newer comments about the MAR reminded me of something. The MAR transform faults. Looking at the smaller rifts in iceland and the fact that it is difficult to plot which rift comes from where I imagine each rift must behave a bit like a mini MAR and the stresses cause mini transform faults which may intrude into an adjoining rift . Oh! And yesterday I listened to a program on BBC 4 .The presenter was in Iceland and discovering facts about the Icelandic Elves and Gnomes, the Icelandic little people. It was absolutely fascinating. 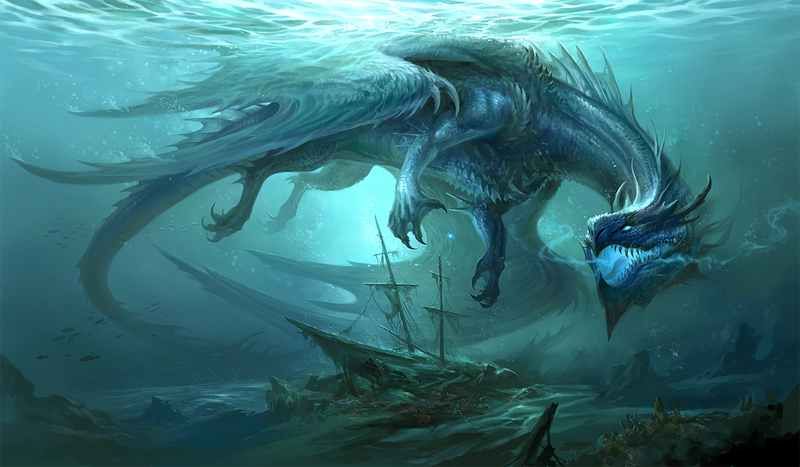 With all the shenanigans going on beneath their feet Otherworldly beings would have been the only way in the past people could explain the tremours, rumbles, floods and eruptions. There have been several larger eruptions. The two largest on record is Thjorsahraun at 30km3 and Theistareykjarbunga eruption at 50km3. The last of them was really slow though so it is not normally counted as the largest. It is unclear which is the largest explosive eruption exactly, but it is one in the suite of 5 from Grimsvötn causing the Saksunarvatn tephras. It was about 50km3 with a total for the suite of 150km3. That is Thjorsahraun from Bárdarbunga. 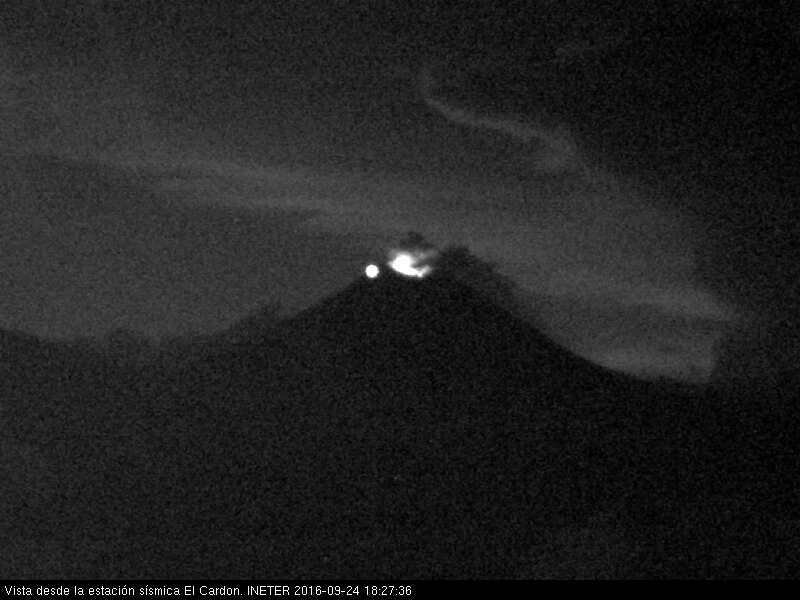 It happens now and then since activity intensified on New Years Eve (that eruption was fantastic to watch up and close). OT, Sakura-jima has been a bit quiet of late. The alarm-raising quake swarm that occurred in 2015 seems to have changed something within the system. It’s tough to say what specifically, but ever since then, eruptions have been few and far between compared to the previous eruptions that occurred more than a few times each day. My only guess is that a significantly more viscous blob of magma pushed itself into the shallow magma chamber, which served to block up the flow of magma from the shallow chamber into the micro-chamber that releases the frequent vulcanian eruptions. With that said, this is just a general guess. Sakurajima last erupted semi-regularly in May. It had a couple in June and a couple more in July. Since then nothing. I have seen more activity from the Minamidake crater this year in addition to the usual Showa crater; that might play into cbus05’s conjecture that the magma pathways have become a bit bunged up. INSAR data might be revealing. While eagerly waiting for the next post on the Fires, I continue to watch the very shallow quakes in the Katla caldera. Named as “common summerquakes” by Carl some year ago, they are much more frequent and stronger this summer. WHat are they? Interaction between ice and water? The chamber lid was previously said to be much thinner than the Barda plug and seems to suffer some tuff treatment here…. I wrote an article a while back on Katla, it contains my current view on Katla. Likewise a huge part of Europe, Iceland has been having a very warm September. Also with very high levels of rainfall. So perhaps this makes extra melting in Katla, which causes more earthquakes. So, water hot rock interaction? Could this be read out from the drums? Cant find it. Back in the old place? Volcanocafé is a forum for learning about volcanoes, earthquakes and other geology related issues. It is also a voice for reason and science. Over time VC has grown and increased it’s membership both here and Facebook. With size inevitably there will be problems and the occasional rotten apple. It has come to our attention that there may be an individual or individuals that are targeting women on our platform. This is nothing that we condone and that we will act harshly upon. Volcanocafé is a platform that shall be safe for everyone regardless of gender, age, sexual orientation, religion and so on and soforth. And it will not be a playground for praying upon the members. If you know anything, or are a victim of it, please contact one of the administrators in here. Feel free to contact the one you feel most at ease with and that you trust the most if you have their email, or just use the email up to the right. Looks like some pretty hefty degassing on Momotombo right now, and I swear I saw some ash getting blown around. It has increased in activity in the last few days. 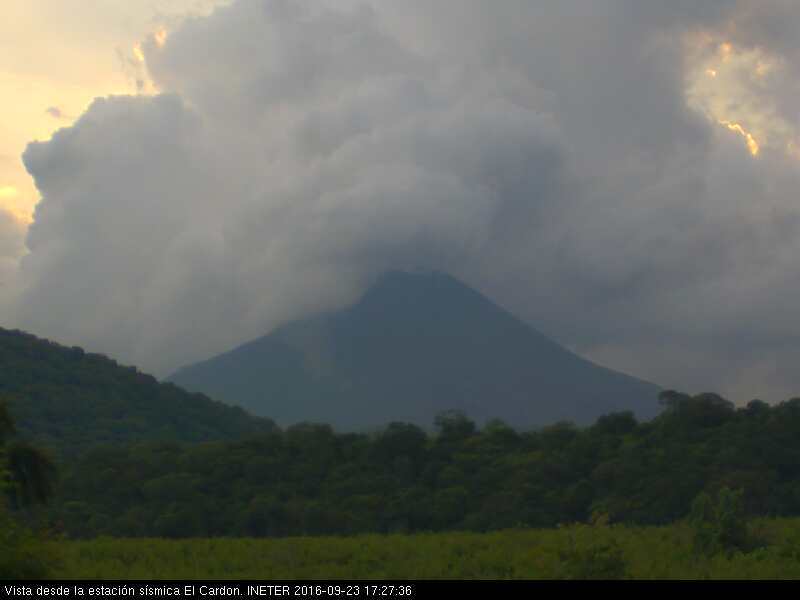 For the last two nights there may have been phreatic activity according to the seismos, but nothing was visible on the cams due to all the steam. The glow we see at night from those webcams. Is it “real” or a thermal/light-enhanced camera making it appear? This camera is light enhanced, but not thermal. So, the glow does exist, and it is glowing more now than it did a couple of days ago. Thjorsahraun is longest lava flow, but the biggest lava flows in Iceland, are in Odadahraun around Askja! There must have been massive eruptions there. One of them was by Trolladyngja, which in on par with volume with Theistareykjarbunga. So I went away and did very rough estimates of the volumes of the largest shield volcanoes in Iceland. You will be surprised! Ok is an interglacial shield volcano, but its date is unknown, older than Skjaldbreidur (which is early Holocene), so Ok could have been prior to Holocene, but not that long ago. II agree on all but Ok, that is pre-glacial. Theistaeykjarbunga is a teaser, it had a simultaneous hraun that puts it conservatively at 50km3, so as far as I know it is the largest single eruption in holocene. Odadhahraun is not a single eruption, if it had been it would well have transcended the 100km3 mark. From the list above, both Ok and Lyndalsheidi are Pleistocene dated. Their dates are unknown. But due to the strong erosion of ice ages, their must be from the previous interglacial, sometime between 100.000 and 50.000 years ago, assuming that the ice age was constant afterwards. Ok is very massive, larger than the other shield volcanoes. This is the reason I included it. But it was the only shield of that massive size I could find in Iceland. The other shield volcanoes are all less than 10.000 years old, but all are relatively early Holocene. And of course there must be many other similar sized eruptions in Iceland. The rest of the time Iceland was in ice-age mode, so any “shield” eruption became a tuya or table mountain (just like Herdubreid). We can also estimate the volumes of those ones, and find which ones were the most massive. Before I estimated the volume of shield volcano eruptions in Iceland, usually it´s one massive eruption over a long period of time (in case of Skjaldbreidur it was around 90 years rather-continuous eruption). Those shield eruptions were anywhere between 20 to 45km3, but in the Ok shield volcano, the eruption was up to 85km3! This was about 4-5 times larger than Edlgjá or Laki! If I choose the largest table mountain in Iceland, then I am even more surprised. That is Eiriksjokull, a massive table mountain, assumed to have erupted in mostly a single eruption, albeit long-lasting. The volume is around 84 km3. So similar size as Ok shield volcano. I assumed a conical frustum, with a base diameter 12km, top diameter 6km (ice-cap) and altitude of 1275 meters above plateau. So this is about the maximum size that Iceland can do. Very impressive! Are there any maps that show the location and timing? Or references? This was my estimate. I calculate the volume of the mountain by simply measuring its base diameter, top diameter and altitude. Location west of Langjokull, north of Skjaldbreidur, in a region with many massive shield volcanoes. I spent the weekend getting up close and personal with the rhyolite of the Borrowdale Volcanics Group – rock climbing. So what a pleasure to come back to Albert’s fantastic article, and the ensuing discussion. Thank you – very interesting and informative, and a tremendous complement to following most of the Eldgja fissure on foot from Gjatindur to nr Katla a few years back. Until now, I hadn’t realised that it also extended N of Gjatindur, so that’ll be another walk, with the slight problem of crossing the Skafta en route! I’ve long been in love with Iceland and its geology, but reading the article makes me realise how much I have learned and how many misapprehensions have been dispelled since checking in to VC regularly. (I am a Witch’s Baby. I.e. a son of the 2014 Nornahraun (= Witch’s Lava) eruption, and the coverage on here.) I’ve also got more questions, too, but that’s where real learning begins! 3.8 has a depth of 0.1km (from 1.1km) at the time of writing. Again very shallow. In the top of the caldera lid said to be only 2 km thick, or how to interpret this. Water-steam explosions or fractures in the lid? Possible to see this in the wave shapes? I think they may get the depth from the travel time difference between the wave and its reflection of the bottom of the crust. The longer the difference, the shallower the quake. A depth of 0.1 km may mean that the reflection was not detected. It is better to get the depth directly from several nearby detectors but they may not have that here. A very interesting post, thank you Albert! Is a graben a requirement for a large fissure eruption? Where would be the most likely zone for similar events nowadays? The area between Vatnajökull and Myrdalsjökull? Katla: Decent hit today! The second strongest ever since there is equipment on Katla. The strongest and third-strongest have been some weeks ago with the subsequent article here on volcanocafe!